Dubai Corporation for Ambulance Services (DCAS) has developed an AI-powered project to help volunteers identify patients’ emergency cases and guide them through the necessary procedures to help save their lives while waiting for the ambulance. Developed in partnership with the Dubai Future Foundation, the Immediate Response project is one among several 10X initiatives launched by Sheikh Hamdan bin Mohammed bin Rashid Al Maktoum, Dubai Crown Prince and Chairman of the Board of Trustees of the Dubai Future Foundation during the World Government Summit held in February 2018. The ambitious initiative sets the strategy for Dubai to achieve today what other cities around the world will achieve in 10 years. 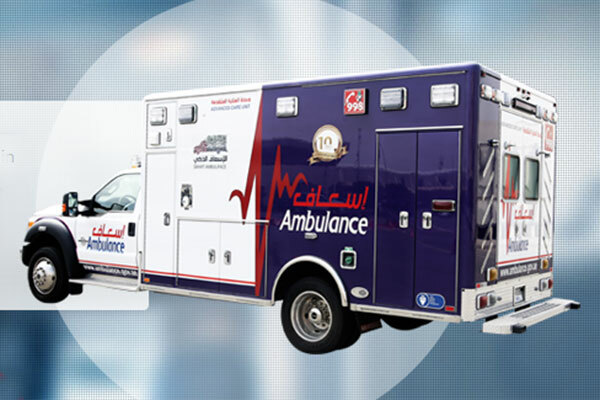 “We endeavour through this project to transform every resident and visitor in Dubai into a versed lifesaver to enhance the quality of ambulance services by speeding up the response time to less than four minutes. The project is part of our efforts to implement our strategy and contribute to the realisation of the Dubai Plan 2021 while ensuring a healthy and safe environment for Expo 2020 visitors, and improving the National Emergency Response Index to four minutes,” said Khalifa Al Drai, executive director of the DCAS. “Reducing response time is one of the challenges faced by ambulance services globally. A response time of four minutes has never been achieved by any ambulance service. However, through this innovative project, DCAS will be able to provide immediate help in vital areas in Dubai, surpassing the initial target of four minutes by integrating savers from the community and utilising smart systems based on AI and VR to harness residents’ skills,” added Al Drai. “The project will have a direct impact on our community and its future, given that 80% of minor cases take place in public buildings, and the Corporation responded to around 180,000 cases in 2017. Through our innovative service, we aim to instil a sense of belonging among residents, increasing happiness levels and saving lives,” he added.